CHECK OUT SOME PHOTO HIGHLIGHTS FROM THIS FANTASTIC EVENT! This day-long event offered a chance to engage with public health leaders about critical issues facing our nation today. 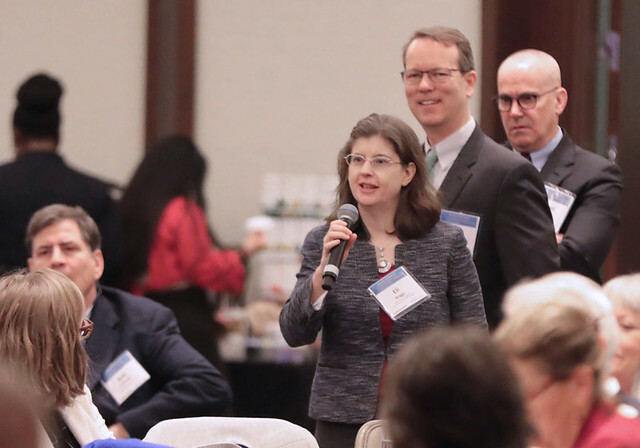 Building on the 2019 AcademyHealth National Health Policy Conference, APHA organized this additional day of discussions with a sharp focus on public health policy. We explored such important issues as environmental health, violence prevention, immigrant health and women's health. Elected leaders as well as policy experts in the public and private sector explained how to put policy in action to improve communities and create the healthiest nation in one generation. Check out U.S. Assistant Secretary for Health Brett Giroir's presentation about HHS priorities, including the plan to dramatically reduce HIV transmission by 2030 (PDF). Learn more about the AcademyHealth National Health Policy Conference that took place the two days before APHA's Policy Action Institute. We thank the de Beaumont Foundation, Aetna Foundation, and Jewish Healthcare Foundation for their generous support of the APHA Policy Action Institute.